Save $30.00 by choosing this option now. 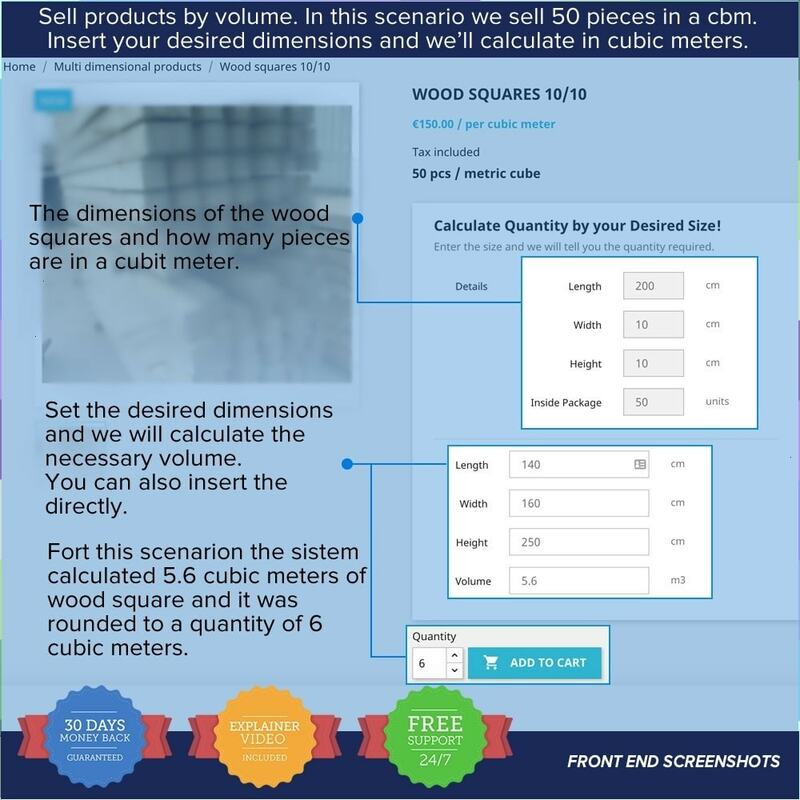 The first multi dimensional products module is bringing all the necessary features you need to give your shop the ability of selling products using decimal values and different units of measurement. 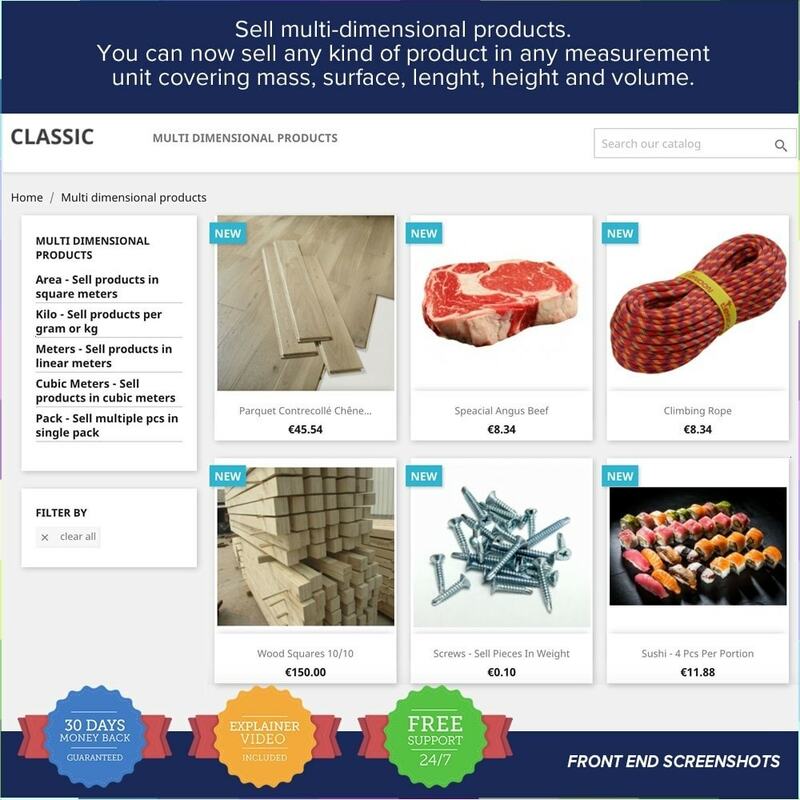 Multi Dimensional Product Prestashop module gives you the option of selling products using decimal values and different units of measurement, without having to create and manage hundreds of necessary combinations. You can also use it to create sophisticated grocery, manufactured items or fabrics shops. 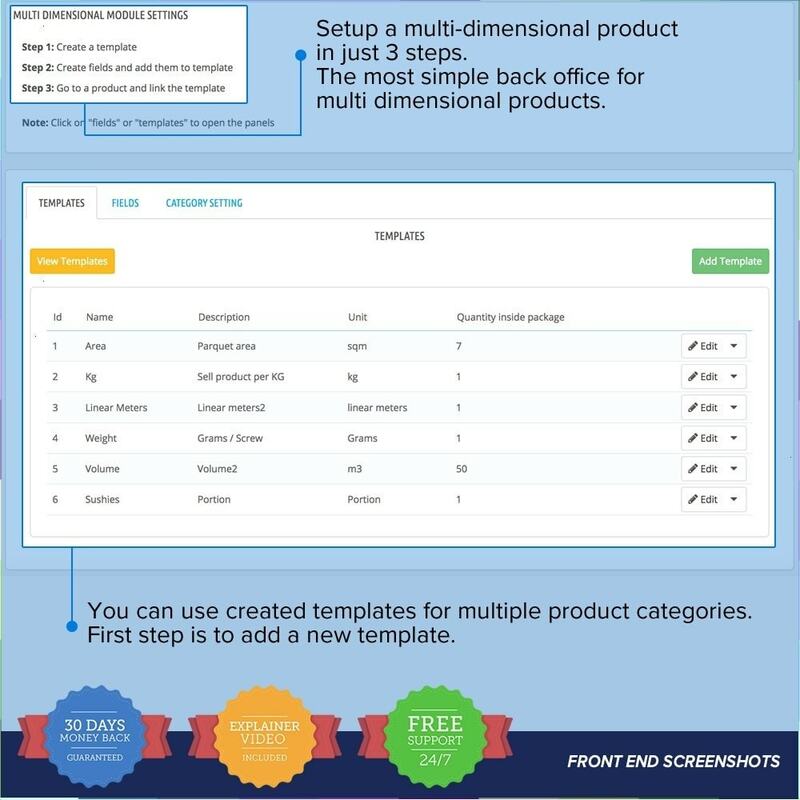 This module is compatible with multi-store Prestashop. 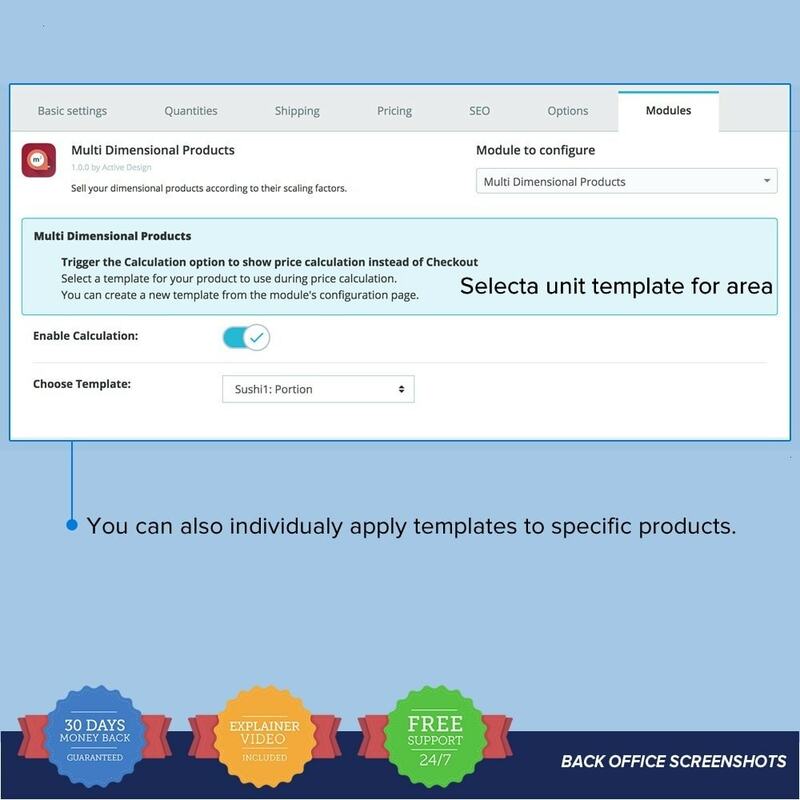 You can install the module in all your stores in a multi-store and use different configurations for each of them or configure once for all stores. 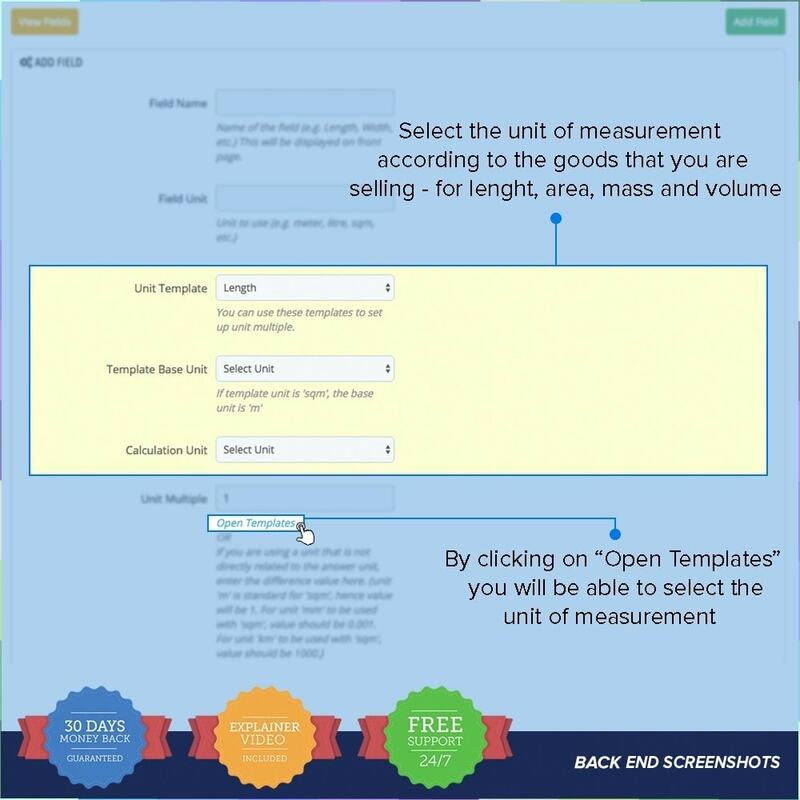 This module is compatible with multi-language Prestashop. 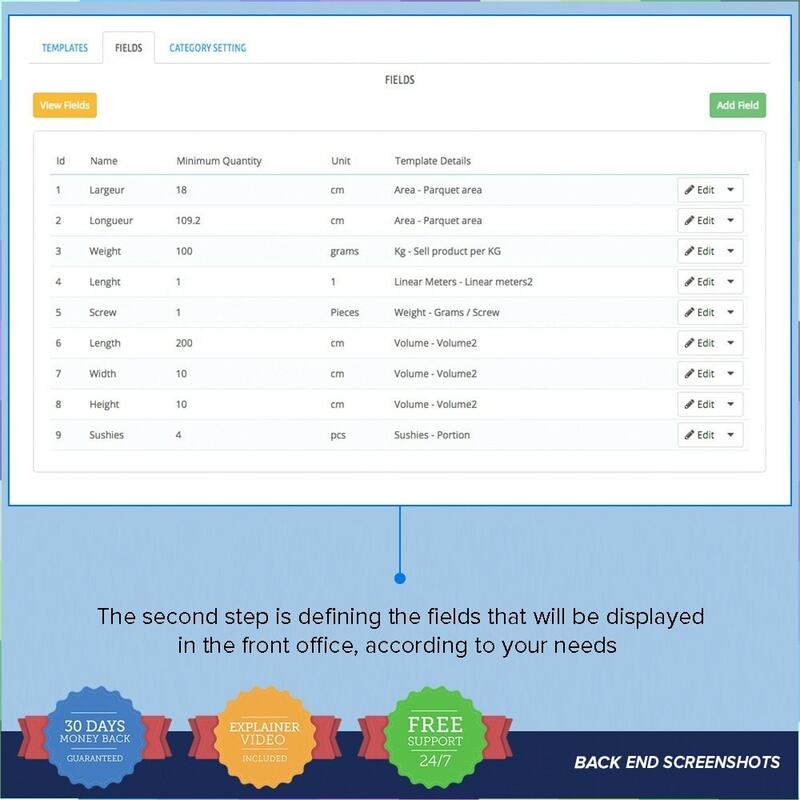 Our module allows you to change the text for each language you want to have it in your website. 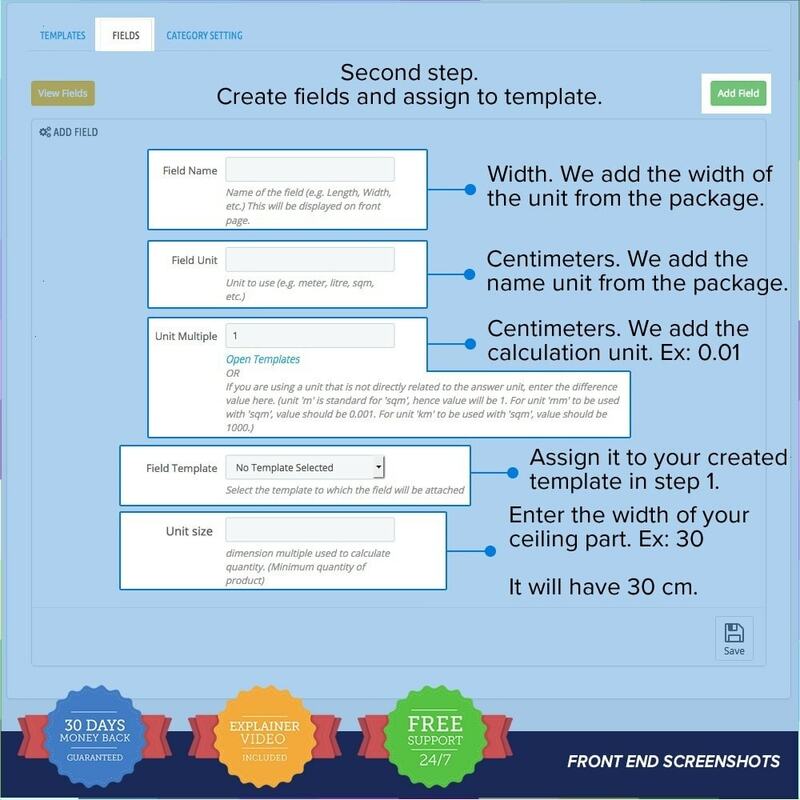 Designed by experienced designers, our module has developed by a team of certified programmers and front end developers in order to offer your customers the best full responsive experience. The module is easy to install and use. 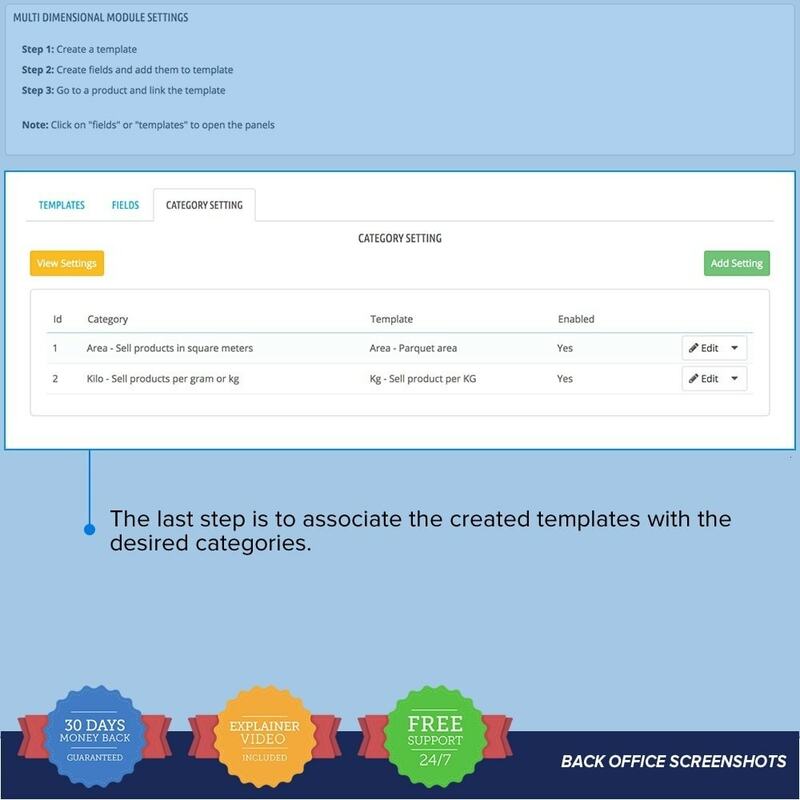 To install, simply upload the zip and start the web based Installation via your Prestashop back-office. Also, we can perform the installation for you, at no cost. 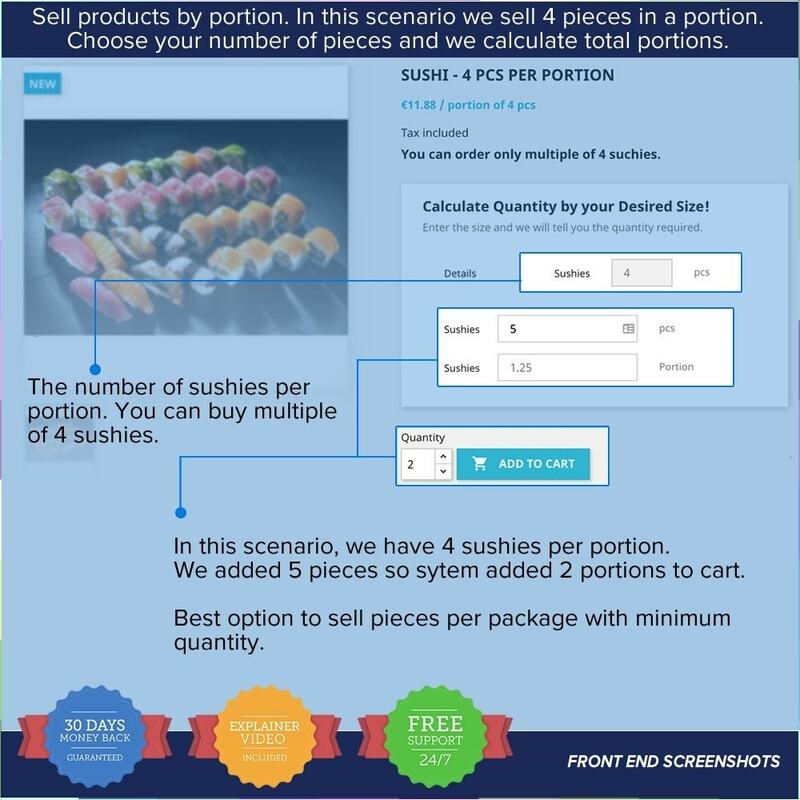 This is the most complete and flexible system on the Prestashop marketplace. Give your visitors an unique user experience to buy exactly what they want to use for their products. 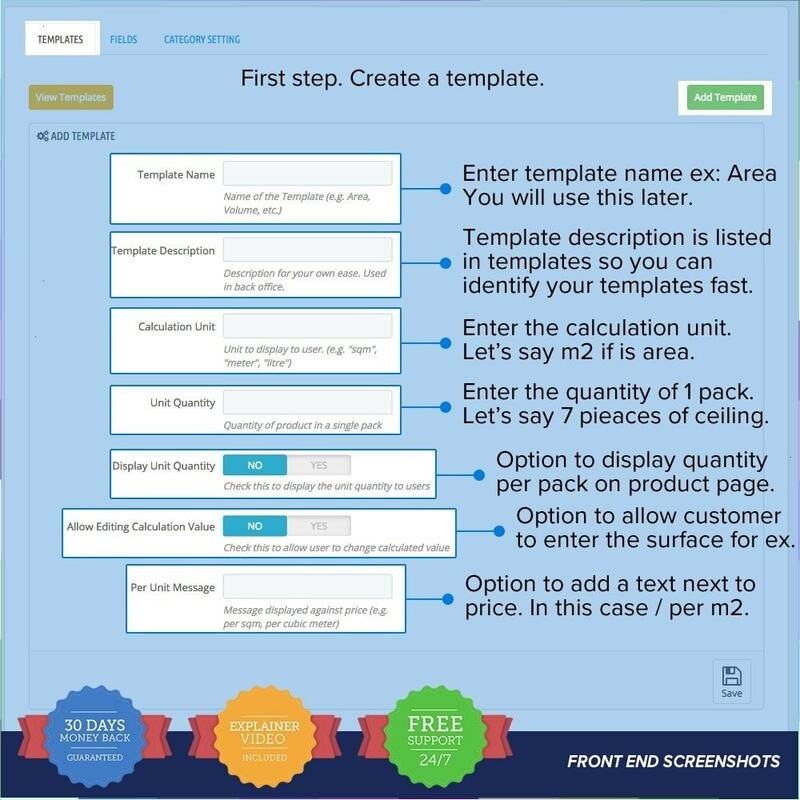 Boost your sales using unique properties by using different templates and settings. If you are having problems with our Prestashop module, please contact us. In this page, browse to “INFORMATION” and you’ll find a link to contact developers, click on it and send us your questions. Installation is absolutely the most simple one possible. ONE STEP INSTALL ONLY. Upload your purchased module and click install. For each purchase we provide FREE support to install and configure, and FREE explainer videos.